"The march of technology has caused huge changes in the world of music. As record sales fall away and traditional models falter, we see a new type of musician emerging– who has turned the accessibility afforded by new technologies to their own advantage, redefining the art form as they go. The emphasis is on live performance, on new ways to interact with the audience, and on re-imagining musical instruments themselves. 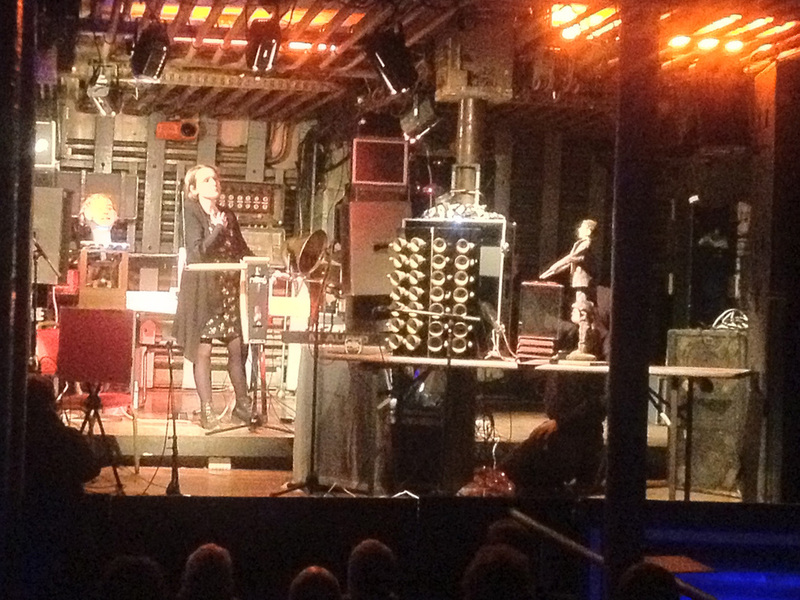 "Two musicians present a melodic, and decidedly human take on machine-made music, playing with the support of performing robots and strange, made-up instruments as part of the Transceiver Series on board visiting culture ship MS Stubnitz. "Trailblazing generative music phenomenon Algorave concludes the first round of The Transceiver Series onboard visiting culture ship MS Stubnitz.